Here is a list of all the resources available to your church for special dates throughout the year. The exact materials vary from week to week, but can include bulletin covers, inserts, children's resources, devotionals, worship planning tools, prayers, projection graphics and more. Emails will be sent twice a year to every Christian Reformed Church in North America with a unique order form link that will allow you to order materials for six months of special dates at a time. The most recent order form included materials for July 1 - December 31, 2019. If you missed the deadline or forgot to order something, you can use the form below to request additional copies (by clicking Special Orders). You will also find additional information and many free downloadable resources. The resources are organized below by their suggested date on the CRCNA Offering Calendar. Printed copies of the 2019 Offering Calendar and 2019 Deacons' Helper Worksheet were sent to all churches in the fall, and additional calendars can be ordered. For your convenience, the calendar is also available in Google Calendar and iCal formats, and in a spreadsheet to copy and paste for planning. Note that while each of these causes has been given a suggested offering date, materials are designed in such a way that they may be used on any date that works best for your congregation. 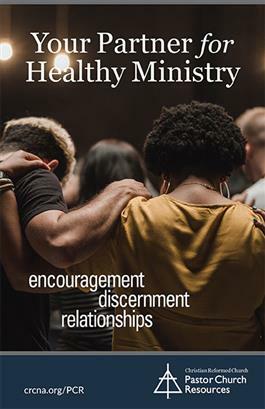 Information about how to order materials was sent to your church in September 2018. Look for an email marked "Important: New Way to Request Free CRC Materials" or contact communications@crcna.org for more information. World Renew invites you to participate in this year’s Foods Resource Bank (FRB) Sunday and join in ending hunger. World Renew and FRB, soon to be called Growing Hope Worldwide, partner to provide agriculture programs to subsistence farmers in impoverished communities around the world. 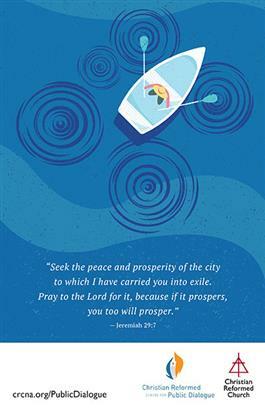 FRB materials, including bulletin inserts, a children’s message, poster, and litany, will be available for download only. Since 1979, Christian Reformed Churches across Canada have extended a generous welcome through the Private Sponsorship of Refugees Program. 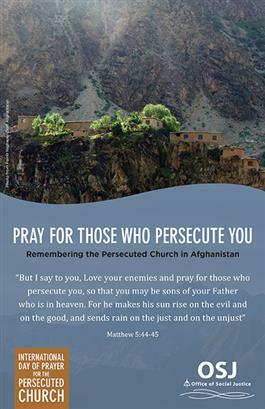 On Refugee Sunday 2019, your congregation can use these printed bulletin inserts as we celebrate 40 years of God’s faithfulness and raise support for the continued work of World Renew’s refugee program. A video and litany are available for download. Easter: Light Outshines Darkness “Again Jesus said, ‘Peace be with you! As the Father has sent me, I am sending you’” (John 20:21). Resonate Global Mission is privileged to work with you and your church in telling others about the Light of the world. As you embrace the mission God has given you, remember that you serve a risen Savior. Jesus’ greeting of “Peace be with you” pierces the darkness of this world. Operation Manna (OM) is a program of Diaconal Ministries Canada that helps churches across the country reach beyond their walls and into their communities to show Christ’s love. With an OM partnership, churches can receive coaching and seed money so that they are able to establish sustainable local ministries where it may not have been possible. OM is primarily funded through this yearly designated offering. When churches give to OM, it’s not just another offering to another cause; it’s about the people who will be reached through their gift. 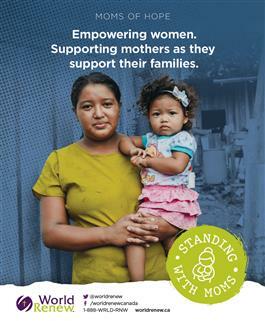 CANADA - On Maternal and Child Health Sunday, World Renew invites your congregation to pray for and support families taking critical steps to improve health outcomes for mothers and young children. 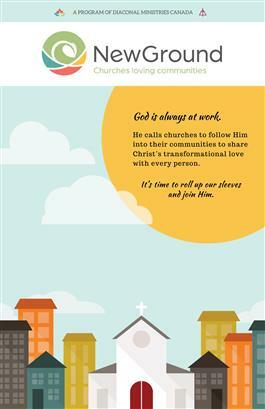 Use this printed bulletin insert and poster during your service. An offering slide, litany, and other resources will be available for download. 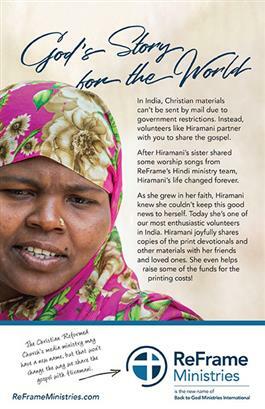 US - On Free a Family Sunday, your congregation can use this printed bulletin insert and poster as you learn about and hold an offering for families who are being connected to new opportunities to overcome poverty through World Renew’s Free A Family® program. Downloadable resources, such as social media graphics and bulletin announcements, will also be available. 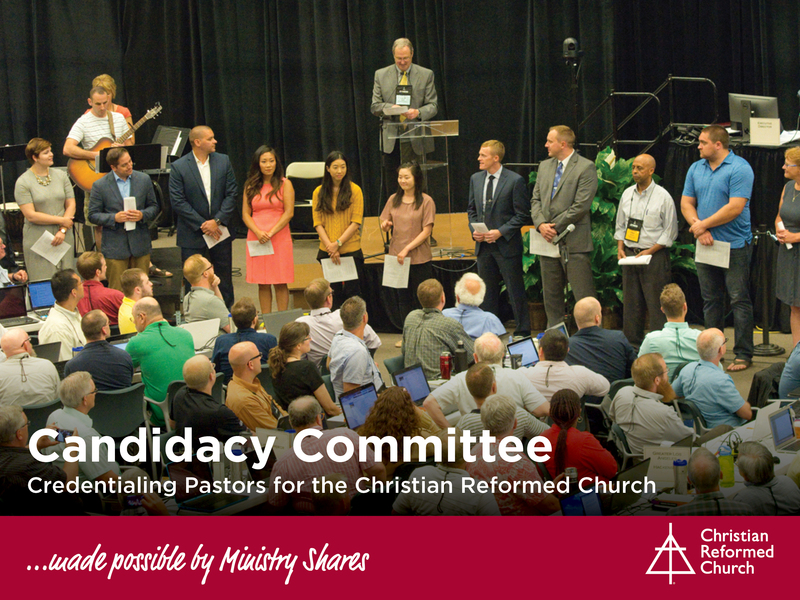 Candidacy Sunday offers churches a great opportunity to thank God for the men and women who anticipate being approved as candidates each year at synod. Digital resources are available on the Network for a bulletin announcement, pulpit announcement, PowerPoint slide, and worship litany. Content for this Sunday is not specific to Ascension Day. Please see materials listed for June 2, 2019. For 80 years Back to God Ministries International has shared the Gospel through media in the world’s major languages. Did you know that BTGMI's English media ministry, ReFrame Media, provides English language resources to help your congregation’s discipleship and evangelism ministry? The insert outlines online programs to strengthen your members’ and seekers’ faith journeys. If you would prefer to use resources for a different language ministry, visit BackToGod.net/downloads to see your other options. Pentecost: The Spirit Brings Life - This Holy Spirit, that moved with power at Pentecost, still moves today. This Spirit, eternal God, is given to each one of us and remains with us forever! Resonate Global Mission is privileged to partner with you and with your church as we go on mission together. May you feel the presence of the Holy Spirit as you join with God’s mission! 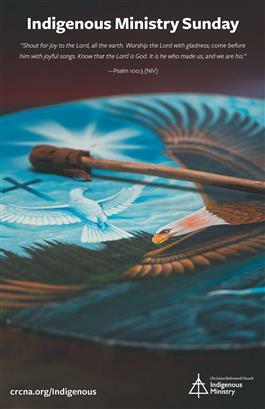 This year's Aboriginal Ministry Sunday (June 16, 2019) resources honour Indigenous men and communities, with a focus on Romans 12:6-10. We pray that we may learn to hold each other accountable, be devoted to each other in love, and honour one another above ourselves. Additional worship resources can be found nearer to the date at crcna.org/AboriginalSunday. 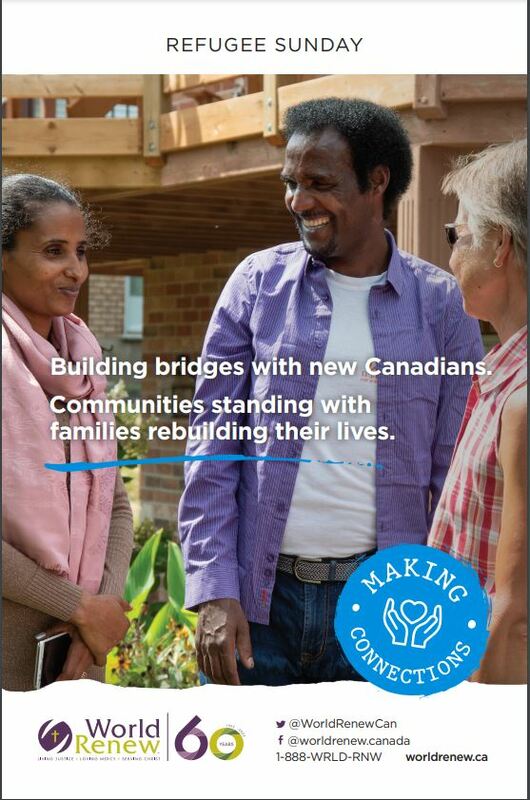 Your congregation can use this bulletin insert to celebrate Canada Day (July 1) and acknowledge the Government of Canada’s work of helping God’s children around the world overcome hunger, in partnership with World Renew and Canadians like you. Ideal for member mailboxes or use during your service to promote your World Renew offering. Learn about and support Pastor Church Resources, which serves pastors, churches, and classes as they seek to promote healthy relationships, encourage one another in ministry, and discern next steps in seasons of growth, transition, or challenge. This August, help your congregation experience a unity of response to God’s call for Biblical justice. This day will serve as a designated time for congregations across North America to consider the meaning of Biblical justice, to lament injustices in the world, and to commit themselves to the transforming work of standing alongside people whom society oppresses and pushes to the margins. 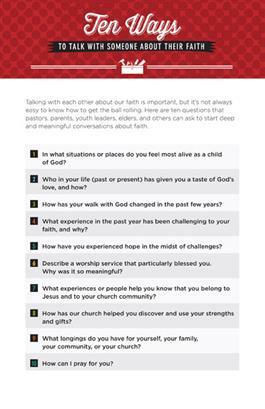 Learn about and support Faith Formation Ministries, which can make an impact on the faith life of every church member, young and old. 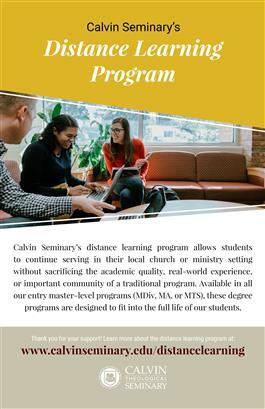 Learn about and support Calvin Theological Seminary. Calvin Theological Seminary is about preparing faithful, creative and compassionate leaders who will nurture disciples, renew churches and be bearers of shalom to a world in turmoil. Its Reformed approach to theological education uniquely equips students to face the complexities of ministry in this rapidly changing world. All of this happens through an experience that joins head, heart and hands together in joyful response to God’s sovereign claim over all creation. Mission emphasis events provide a special opportunity to praise and thank God for the ways he is advancing his kingdom. This year's theme—All Will Know, All Will Go—focuses on the role we get to play in God's plan. One day, every tongue will confess and every knee will bow, but what about today? How will we join God on mission right now? Abuse thrives in silence and secrecy; it must not thrive in church. The #MeToo movement has revealed how many people have been impacted by abuse. Often those with power have misused it in harmful ways. 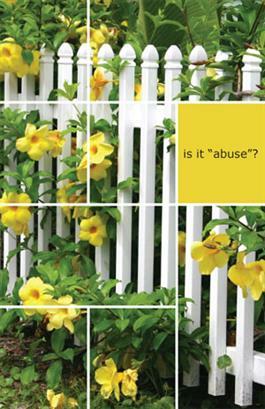 Learn about and support Safe Church Ministry, which equips congregations in abuse awareness, prevention, and response, beginning with awareness. If you prefer a different bulletin insert, see the full list at the link below. All Nations Heritage Week is a synodically approved celebration of the expanding and enriching ethnic diversity that more and more encompasses the CRCNA. This annual celebration provides opportunity for our congregations and classes to embrace, celebrate, and promote our God-given ethnic and racial diversity. The All Nations Heritage offering will be used to award scholarships to Christian Reformed students in our colleges and the seminary to support their development as multicultural leaders in the Christian Reformed Church. 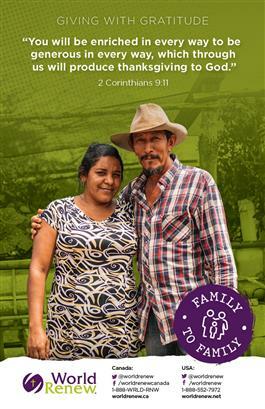 This Thanksgiving, give thanks to God for working through World Renew's Free A Family® program. Celebrate with Loyce and Moses, two parents who are being equipped to overcome poverty. Learn about and support the ministry of Disability Concerns. Many small groups place demands on participants that many adults cannot meet, yet we know that churches become healthier when they welcome all people. Your church can learn to practice hospitality in new and exciting ways in your small group ministry. Disability Concerns can help. Reformation Day is a suggested offering date for Resonate Global Mission. For offering support materials, please see Mission Emphasis Week (Sept. 16). and witness of the church in North Korea. 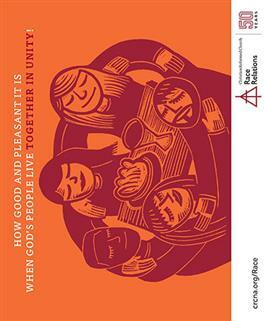 Mark this day with the Office of Social Justice by using this bulletin insert (and the litany on the backside), along with other resources which will be available at crcna.org/DayOfPrayer closer to the date. Learn about and support Back to God Ministries International, the worldwide media ministry of the Christian Reformed Church. Through partnerships with churches and individuals, we share the Gospel in ten languages through indigenous ministry teams using the technology and media that best serves the cultures and needs of each area we reach. Chaplains are ministers and pastors with specialized training who serve in institutional settings and minister to the whole person, addressing not only a person's spiritual needs, but also their physical and emotional needs. Learn about and support this essential and exciting ministry by asking chaplains to share their stories, pray for them, and consider taking an offering for our ministry. A liturgy and videos are also available for download. Thanksgiving is a great time to praise God for all of the blessings in our lives and to consider sharing some of those blessings with others. Why not use this Thanksgiving as a time to kick-off a World Renew gift catalog campaign in your congregation? See Gift Catalog promotion under "Christmas". 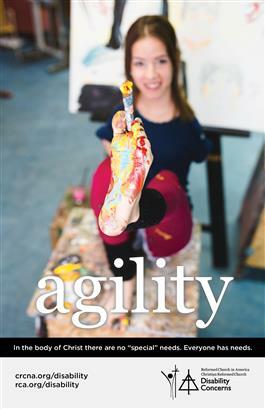 Learn about and support Calvin College. Calvin is committed to shaping the hearts and minds of young people, creating skilled and visionary leaders. As one of the largest Christian colleges in North America, Calvin has been highly recognized as a center for liberal arts teaching and scholarship since 1876. Calvin is committed to academic excellence while remaining distinctively Christian, equipping students with knowledge, skills, and virtues to help them impact culture in a relevant, ever-reforming way. Show the video or learn more on the Calvin website. The items your church selects from World Renew’s 2018-2019 Gift Catalog matter deeply: Your gift is powerful, fun, and meaningful. Your support for World Renew through the gift catalog helps people who live in poverty. 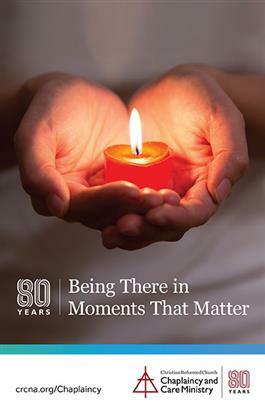 This year’s catalog has new items as well as many favorites, with even more choices for churches, classes, families, and Sunday schools. If your church, school, or group needs an easy, attractive way to spread the word about this alternative giving opportunity during Advent, you can order free materials to use and display in your church or classroom. Videos, Powerpoints, bulletin announcements, and many more downloadable resources are available at worldrenew.net/gifts. Youth Unlimited is a non-profit, non-denominational Christian ministry organization that focuses on assisting local congregations in their youth ministry. We strongly believe that the local church is the tool God created to use to reveal himself to the world. We know that taking the call of ministering to today’s youth is not for the faint of heart. Therefore, we are blessed by encouraging, supporting, equipping, and partnering with congregations across North America to reach this generation for Jesus Christ! 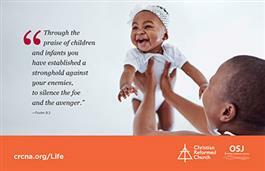 The third Sunday in January is Sanctity of Human Life Sunday, and the CRC Office of Social Justice offers resources, including this bulletin insert for your church to honor the day. Visit crcna.org/life for additional resources including resources for worship planning, a prayer, and a responsive reading. The best way to ensure boys know how to live a Christian life when they grow older is to show them when they are young. The goal of the Calvinist Cadet Corps is to provide Christian men with a structure, program, and materials that are uniquely designed to help boys grow spiritually in all areas of life – devotional, mental, physical, and social. Since 1952 we have been helping churches organize a mid-week program for boys, both from within their congregation and from their community. The Calvinist Cadet Corps is an independent ministry, not connected to any one denomination and not receiving funding from any denomination. Come alongside, learn about us, and help us as we help boys learn what it means to embody our motto, Living for Jesus. The Office of Race Relations resources Christian Reformed members and congregations as they dismantle the causes and effects of racism within the body of believers and throughout the world. They help you to live as God’s diverse and unified family. As a denomination, we believe that dismantling racism is not peripheral to our Christian calling. It’s a Gospel issue! Visit crcna.org/race to learn more and to find worship resources. February 24, 2019 is the Sunday recommended for offerings for the CRC Office of Social Justice, and your church can use this bulletin insert for that day. You can find more resources at justice.crcna.org/offering-sunday. Our office works to develop a deeper understanding of and response to God's call to let justice flow like a river in both our personal and communal lives, as well as in the structures of our societies. In addition to Ministry Share support, it is the yearly offering from CRC churches like yours in the U.S. and Canada that make our work possible. 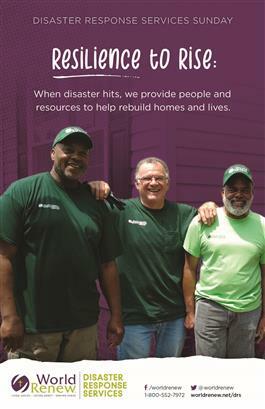 On Disaster Response Services Sunday, your congregation can use these printed bulletin inserts and/or bulletin covers, and posters as you offer your gifts and prayers to demonstrate God’s love to those who are recovering from fires, floods, hurricanes and other disasters. Downloadable resources, such as a litany, offering slide, and social media images, are also available. 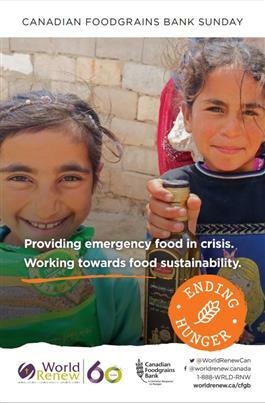 For over 35 years, World Renew has been helping end hunger through its membership in the Canadian Foodgrains Bank. 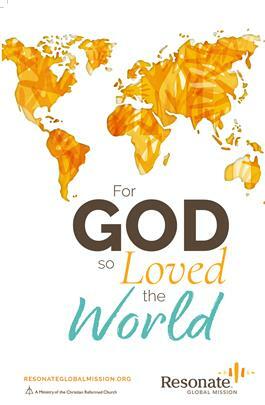 On CFGB Sunday, your congregation can learn about, pray for, and support this important work. Print materials that can be ordered for each member of your church include bulletin inserts and/or bulletin covers, a bookmark, and an advocacy resource using postcards. A video will be available for download. On March 10, 2019, the Centre for Public Dialogue invites you to mark Justice and Hope Sunday (the Christian Reformed Centre for Public Dialogue's offering Sunday in the diaconal calendar) and reflect together on one way to love and seek justice with your neighbours: advocacy. March 10 falls on the first Sunday of Lent, and the insert includes a Lent advocacy challenge, an opportunity to choose advocacy as your Lenten discipline and practice loving our neighbours by speaking up with them. Calvin Seminary encourages you to consider giving to the Dig program. Dig (formerly Facing Your Future) is a three week summer program for high school students who have just completed grade 11 or 12. Dig is a program designed to help students uncover their future as they explore how a calling to ministry can be lived out in any vocation. Through authentic, engaging interactions with Calvin Seminary faculty, ministry practitioners, off-campus excursions to ministry sites, small group time, and reflection activities, high school students form a strong community as they explore where God may be leading them next. Dig helps students to better understand their own gifting, and how they can plug back into ministry right after finishing the program. This year’s Dig program will take place July 8-27, 2019. Visit dig.calvinseminary.edu for more information. Twice a year (in March and September), every CRC congregation will receive an email with a unique order form link that will allow them to request six months worth of printed materials. If you have difficulty finding your link, please contact communications@crcna.org.